Welcome to The HAN Collection. 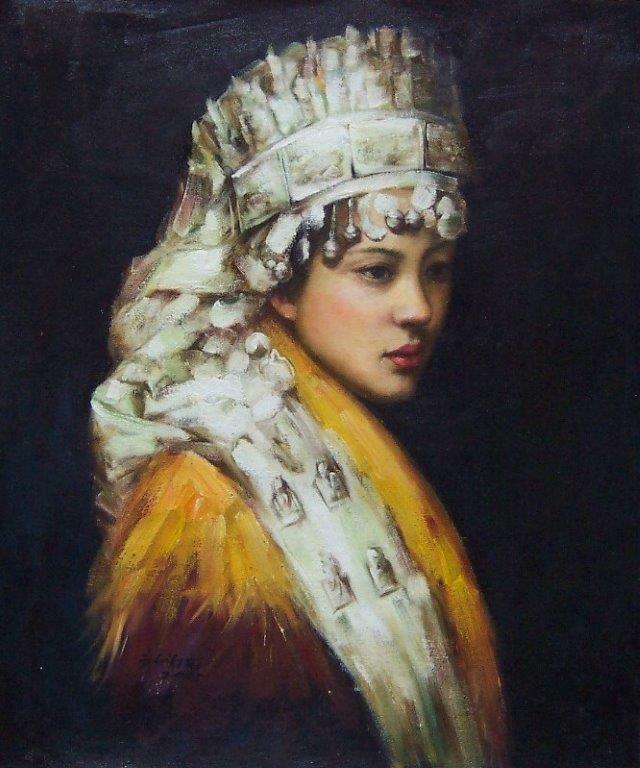 The fine art we offer showcases the artworks of emerging new artists in China. 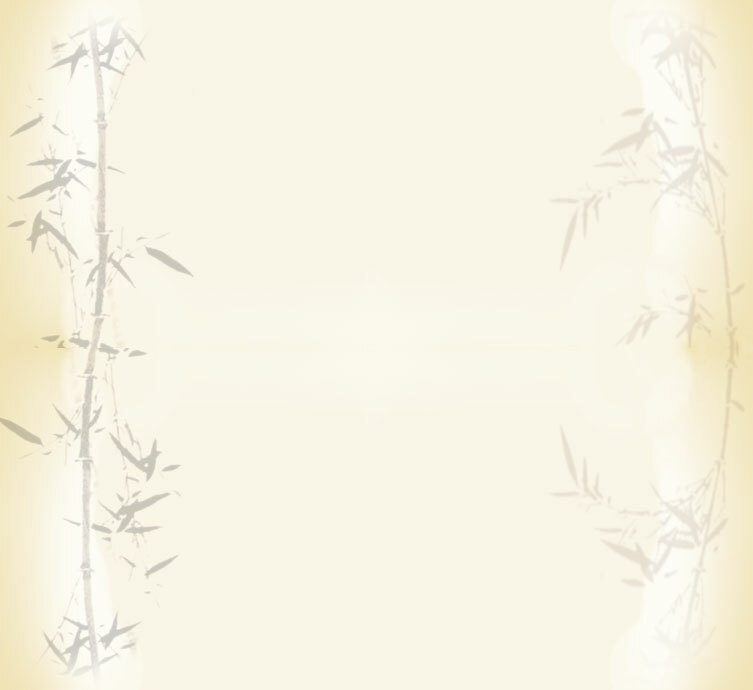 Visit the HAN Gallery by clicking on one of the Chinese paintings below. To purchase a piece of art, email us at thehancollection@comcast.net. View The HAN Collection of original paintings at the Portland Chinese Gardens throughout the year. The original Chinese oil and watercolor paintings in our gallery are beautiful and are chosen because; in some way the paintings spoke to us. When you look at the art presented, envision the painting in the space it will hang. Does the painting make you smile, or in some way inspire an emotion that touches your heart? The Chinese artists paint their landscapes with the impression that the scene is viewed from high in the air, as if seen through the eyes of a bird. The artist brings to the canvas or paper the emotion we feel when looking at their paintings. 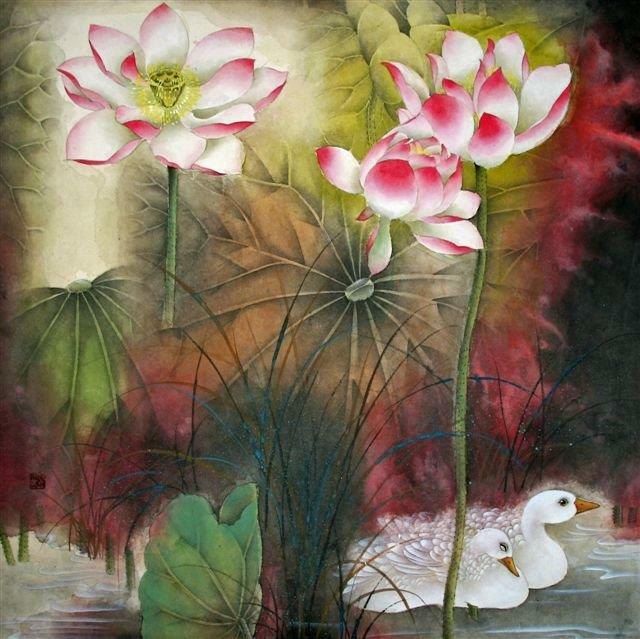 In traditional and contemporary original Chinese flower and bird paintings sometimes a single flower hangs as if suspended in space, or the flowers and plants of different seasons appear together. This is the detail you can expect in the original Chinese paintings from The HAN Collection and why art from our collection is a good choice for any décor. We are confident that you will find The HAN Collection to be one of the most unique and impressive selections of original Chinese paintings anywhere. The discovery page is informative, educational and an interesting read. Featured are some great stories about our visits to China (including a story about a remote village children's art project), information on the Chinese culture, and more about The HAN Collection of original Chinese paintings. To place an order, email thehancollection@comcast.net. 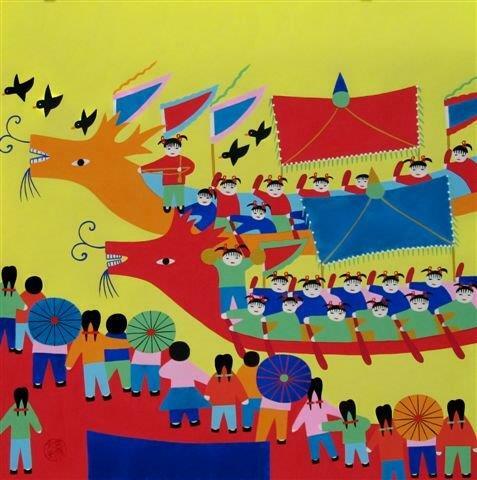 We offer a 14 day money back guarantee on all original Chinese paintings (except framed art). See the contact page for details. The original Chinese paintings of the peony, known as the flower of riches and honor and the symbol of wealth and distinction, are beautiful. The Chinese peony has been said to bring good fortune and is also a symbol of love and affection. The tree peony represents the season of spring. In traditional Chinese thought the lotus represents summer, the Chrysanthemum the season of autumn, and the Chinese Wild Plum the symbol of winter. This symbolism is found in most Chinese art. On most Original Chinese paintings you will see a symbol in red. This symbol is a seal or chop. The seal/chop is pressed into cinnabar paste, a scarlet red color, and then pressed onto the painting “adding the eye to the dragon”. The Chinese art of seal–engraving can be traced back more than 3,000 years. In ancient Chinese times an emperor or person of high status would apply their seal to the art giving credibility to the artist. Historians have used seals to trace the history and authenticity of a painting. If you have any questions about our original Chinese paintings, or general questions about Chinese art, please email us, we look forward to assisting you. We take great pride in choosing every original Chinese painting and delight in knowing that our art will be enjoyed in your home or office for years to come. 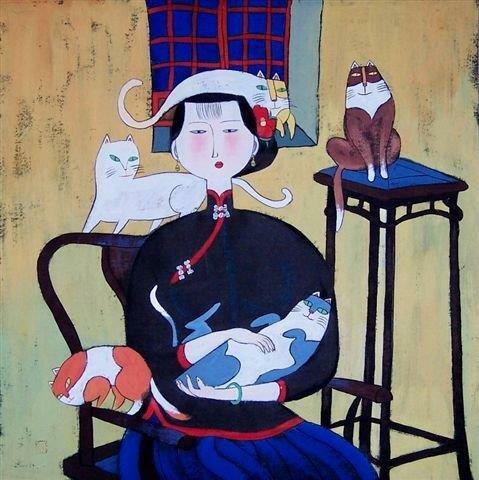 The Han Collection ships original Chinese paintings and art, please email us to discuss shipping options. Should you have a question about any of the Original Chinese Paintings you find on this site, please don't hesitate to email.